Road Trip commenced this morning. 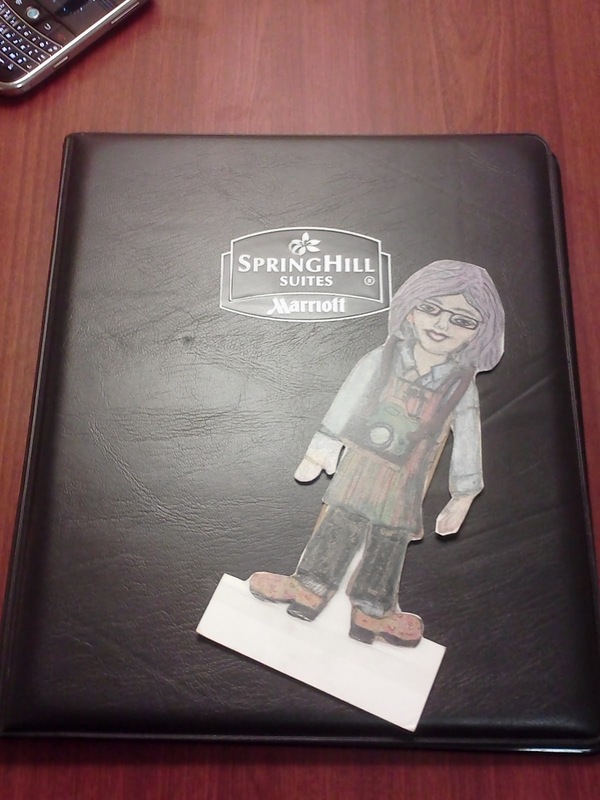 Flat Ruthie made it to Kennesaw. GA, just north of Atlanta. Relaxing after a long day in the car. A rainy and overcast day on arrival in New Smyrna Beach, Florida. Great view of the beach and ocean. Looking forward to some sun and fun! The sun was shining today and Flat Ruthie went for a walk on the beach. The destination, The Breakers for one of the best burgers (and they have the awards to prove it). The restaurant is on the beach with great ocean views. The burgers are out of this World! This entry was posted in Blogosphere Travel and tagged beach, blogging community, driving, food, hamburger, humor, Kennesaw GA, New Smyrna Beach FL, photograpy, road trip, The Breakers, travel, vacation. Bookmark the permalink.